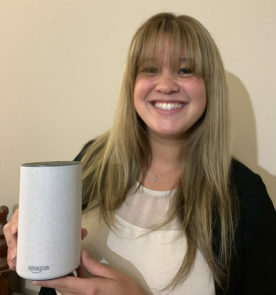 Congratulations to PAMN member Kira Bayley, a special events associate at City of Hope National Medical Center, for winning an Amazon Echo smart speaker. Kira won a random drawing of PAMN members who had activated their myPAMN profiles by Jan. 1. If you haven’t activated yours yet, here’s how.